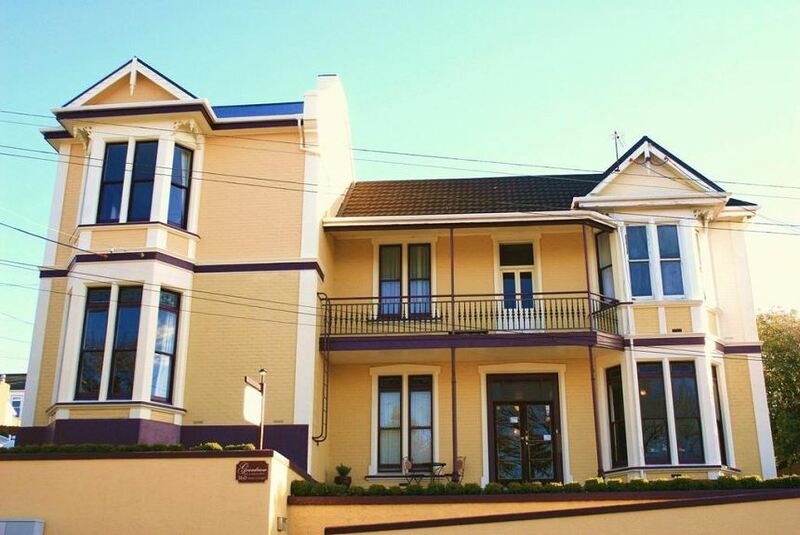 Grandview Bed & Breakfast is housed in one of Dunedin’s oldest properties from the 1860s. It is located in the city centre close to cafes, restaurants and bars. Accommodation options range from luxury suites with spa bath to comfortable deluxe rooms. Guests at Grandview have their own private wing of the building with a guest kitchen, dining room and lounge with satellite TV. Breakfast can be enjoyed daily in the Grandview’s dining room with a continental breakfast in front of the fire. Guests can enjoy comfortable chairs reading the newspaper or taking in the views of Otago Harbour. Grandview offers a sauna and a large deck with barbecue area. Free Wi-Fi internet access is available or there is free internet access from a computer room.